In 1913 the Buffalo nickel was made in two types. Type I was the initial release. On the reverse the buffalo and the words Five Cents is on a raised mound. In Type II the buffalo is on a flat plain and the words Five Cents is recessed. The mint realized that the first release of coins, the raised areas would wear more quickly and made the changes. 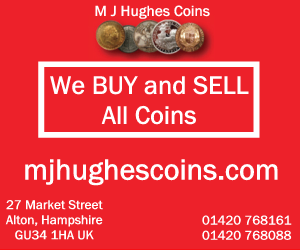 Only the first coins made from 1913 were Type I. Type II coins were made from 1913-1938. The Philadelphia mint minted 30,992,000 Type one coins and 29,856,186 Type two coins. The Denver mint made 5,337,000 Type 1 coins and 4,156,000 Type 2 coins. 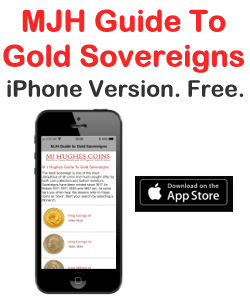 The San Francisco mint struck 2,105,000 Type one coins and 1,209,000 Type two coins. The San Francisco type number two is considered to be one of the key date coins in the series of coins. The Philadelphia Mint minted 1,520 Type number 1 Matte Proofs along with 1,514 Type number 2 Matte Proof coins. 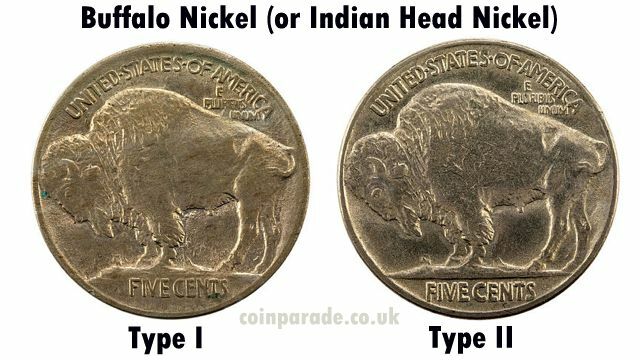 Their are 4 different varieties of the 1913 Buffalo Head Nickel, 3 varieties for Type 1 and 1 variety for Type 2. 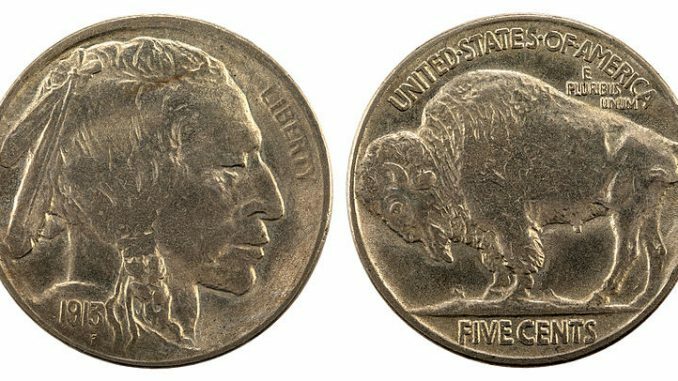 At the Philadelphia Mint an overlapping on the reverse die caused one of the front legs of the buffalo to become very unclear and created what is know as 3 1/2 legs. This affected coins in the Type one series. At the Denver and San Francisco Mints problems with the obverse die caused the disappearance of the third feather. The coins affected were in the Type 1 series. The last interesting variety was from the Philadelphia mint. Some of the coins were found to have slight die doubling in the date area of the coin. This affected coins the Type number 2 series. Randy Zakowski is an author and a successful coin seller. Visit his site Buffalo Head Nickel [http://www.buffaloheadnickel.net/] to learn more about the history and other interesting facts about Buffalo Head Nickels. Image Credits: National Numismatic Collection, National Museum of American History. 1913 Indian Head Buffalo Nickel, Type 1.